Flying Colours Corp has completed the first of eight contracted CRJ200 conversions for joint venture partner Sparkle Roll Jet (SRJ). The aircraft is scheduled for redelivery before the end of April 2016. It is anticipated that on return to China, the aircraft will be added to the SRJ AOC and become available for charter. A new Chinese STC was required for the multi-class format, certified by the Civil Aviation Administration of China (CAAC) at Flying Colours Corp’s facility in Peterborough, Ontario, Canada. Flying Colours Corp believes this is the first time that a B-registered CRJ has been reconfigured outside of China, and then returned on the same registry with the approvals taking place outside of China. Transport Canada Civil Aviation (TCCA) also participated in the STC approval. The interior has been reconfigured from a regional aircraft formation to a 29-seat shuttle format. The aft section features 20 economy seats plus a toilet. The middle section incorporates four business seats in a two double-club layout. The front cabin has a business-class double-club with facing three-seat divan. A small forward galley, incorporating ovens and coffee makers, has been completely refurbished and modified. 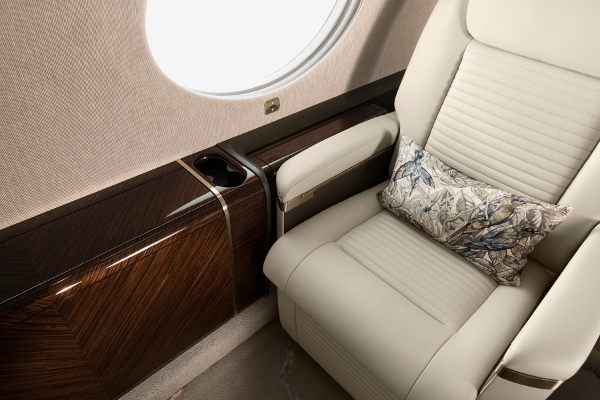 The interior design incorporates customized black wood grain laminate, black leather seats, a gray bespoke patterned carpet, and rose gold plating on buckles, lights and inlays. The styling resulted from collaboration between the Flying Colours Corp and SRJ design teams. Externally, the jet features the signature purple logo of SRJ in a custom paint application set against a white background. Scheduled maintenance work included 48/96/192-month inspections, numerous service bulletins, and hard time-life limited part restorations and or replacements. An SRJ team worked on-site at Peterborough throughout the process, which has further strengthened relations between the companies. Three more SRJ aircraft are now being worked on at Peterborough. The next two will also be configured in multi-class configuration. 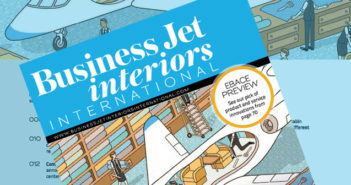 The remaining five CRJ200s will have VIP executive interiors reflecting Flying Colours’ CRJ ExecLiner format – featuring 15 seats, Rockwell Collins’ Venue IFE/CMS, and a supplemental fuel auxiliary system, as engineered by Flying Colours Corp specifically for CRJ conversions.